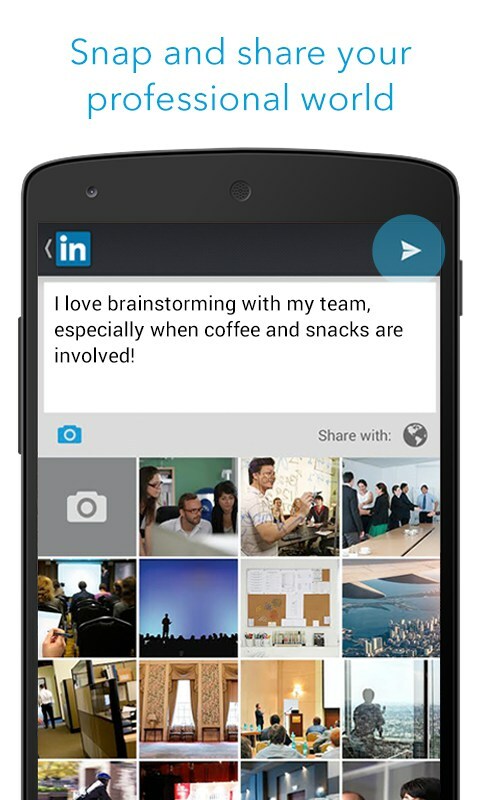 LinkedIn – Soft for Android 2018 – Free download. 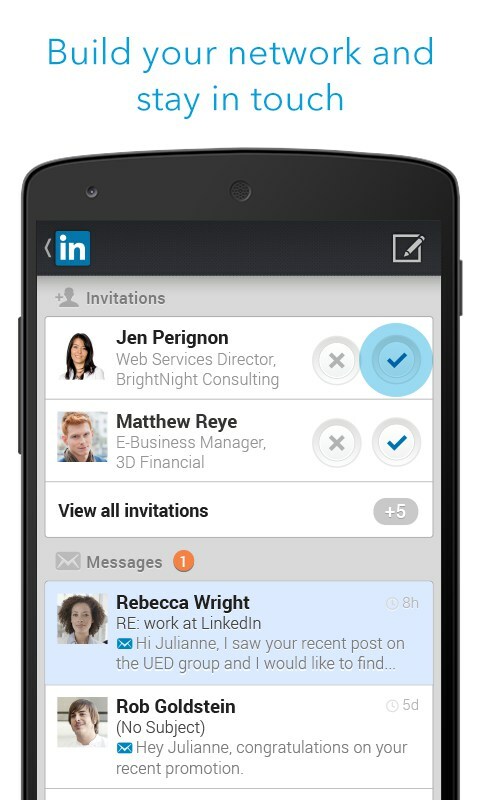 LinkedIn – The mobile, and thus simpler, form of Linkedin. 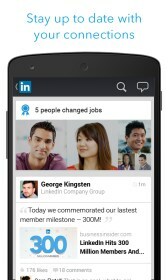 Linkedin for Android is the mobile version of the popular social and business networking site. (Really it's mostly a site to find former people you know, not truly find new connections or meet people). The app has a clean interface that lets you easily access your Linkedin content from the main scroll-able page that shows your news feed. 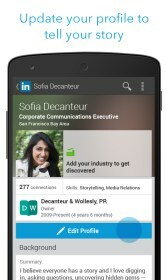 Then you can also access various tabs on the left side of the app including: people you may know, connections, jobs, companies, groups, and pulse. 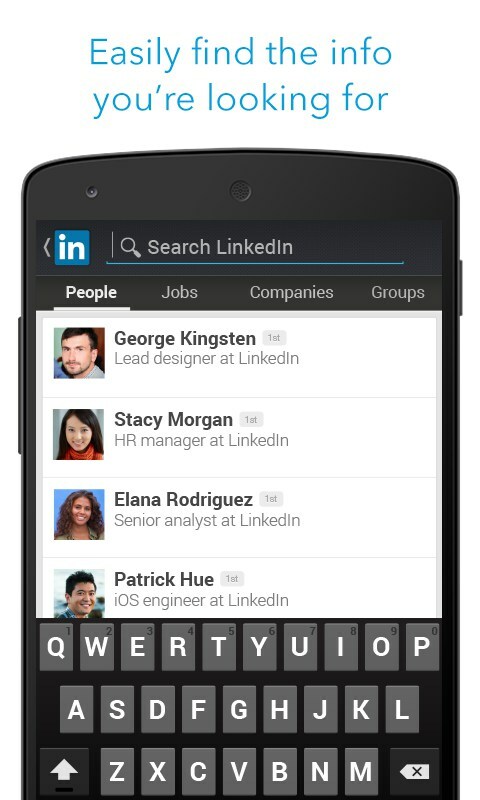 Each of these tabs gives you a wide array of different information - which, if you are familiar with Linkedin, you should know about. For a mobile app like Linkedin to be successful, it has to be a very easy interface and smooth process. Basically, just an easy way to view the site on your phone - and that in that regard, it succeeds. In many ways the app feels easier to use, but that may be because it sort of "dumbs" down the website and various options. 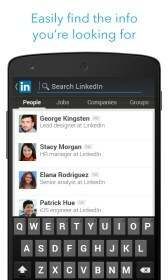 For example, when you look at jobs you can’t really powerfully search the sort of jobs you want in your job feed, unlike the website where you can customize the location, industry, and company size. However, on the mobile app its very easy to look at jobs conveniently and then change the parameters on the actual website for later use on the ALL. 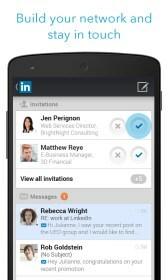 LinkedIn feels like a complete app in a lot of ways, with easy ways to message, look at notifications, respond to friend requests, and you can access the other settings through the tabs. While it might not contain all of the options on the website, the simpler layout and swipe-to-see-tab design feels good on the mobile form, and it's easy to use.